The Sofa Collection Premium Leather Sofas by Forest Sofa are now available at Harvest Moon, your Forest stockist. 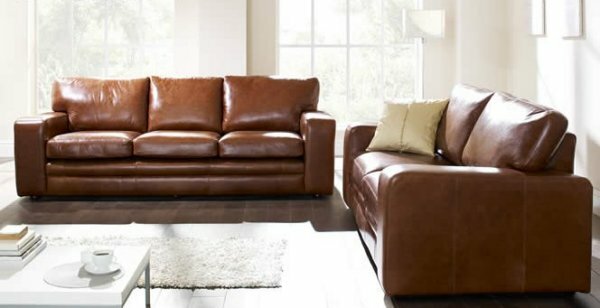 A gorgeous collection of premium leather sofas, premium leather sofa beds and premium leather chairs all handcrafted here in the UK from premium European leathers with a 4-8 week lead time. The 15 sofa models in the Premium Leather Sofa Collection by Forest Sofa are as follows: The Bronx, Chester, Chicago, Cuba, Latino, Liberty, Manhattan, Miami, Minuetto, Modular corner sofa unit, Nevada chaise corner sofa unit, Piccadilly, Rico, Statton and Tiffany sofas. All pieces can be found below. The image above shows the Minuetto 3 seater sofa in Selvaggio Fox aniline leather. The Forest Sofa Premium Leather Collection includes a range of beautiful aniline leathers in a variety of colours and finishes. The quality of leathers is chosen from the top 5% of premium hides available, and this careful selection ensures not only a high standard of finish, but also a natural beauty and integrity associated with quality produced upholstery. 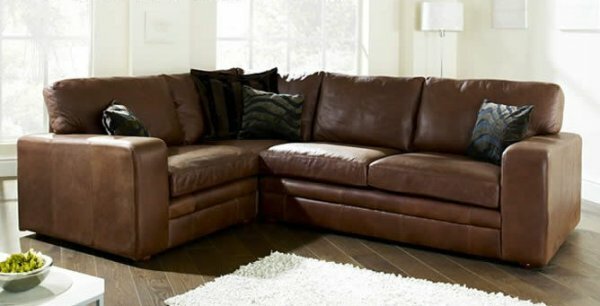 The Premium Leather sofas are available in half sizes from 1 and a 1/2 love seat sofas right through to large 4 seater sofas so there is something to fit in all room sizes. 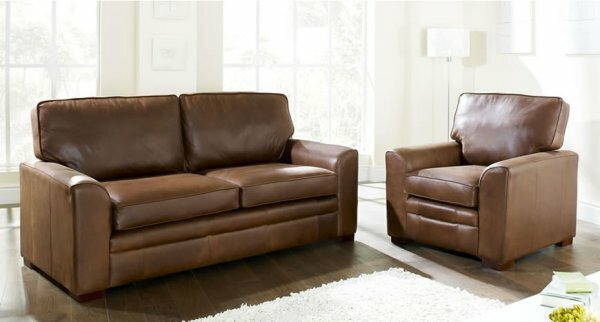 11 of the Premium Leather sofas are also available as regular and or large leather sofabeds. The sofa beds are manufactured with a solid metal two fold frame and a combination of wooden slats and webbings, making the sofa bed suitable for everyday use. A 12cm sprung mattress comes as standard, but air or memory foam mattresses are optionally available. The chrome feet shown on the Cuba sofa are available on any of the sofas featured in the Premium Leather Collection. Should you wish to visit us in person in sunny Southport we have some pieces of Forest Sofa furniture on display including the Minuetto sofa. Directions and map. We can also arrange an appointment for you to visit the Forest Sofa showrooms in Manchester to view the whole range if you wish. FREE delivery on all FOREST SOFA orders to UK mainland addresses at Harvest Moon! The Piccadilly Premium leather sofa by Forest Sofa has superior double stitching detail throughout the upholstery and a curvaceous arm design ensures the Piccadilly's position as one of Forest Sofa's most popular designs. Hand turned legs, individually sprung seat interiors and zipped back cushions add class to an already desirable design. 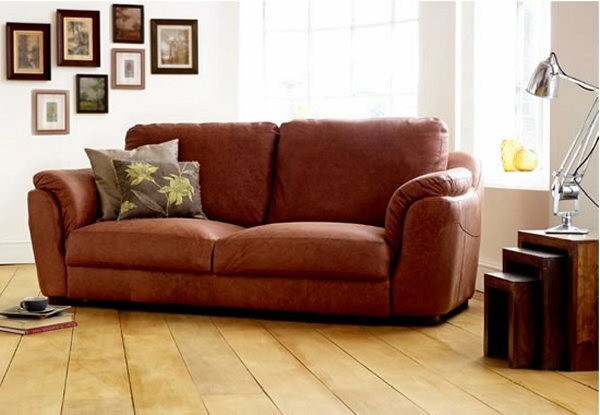 The Piccadilly 3 seater sofa is shown in Forest Brown Distressed Aniline leather in the image below. The Bronx leather sofas is Forest Sofa's most popular sofa design! The Bronx features modern clean lines, twin stitching details and a deeper than average sit. 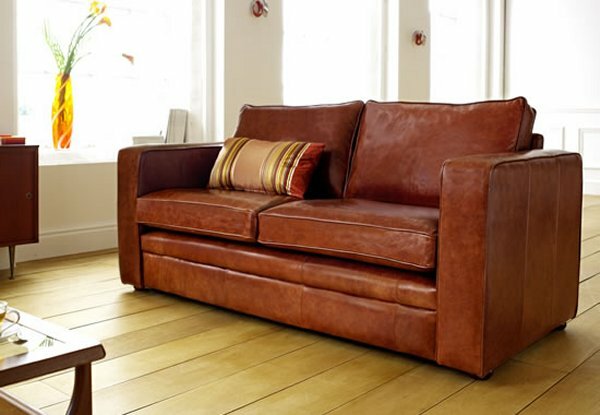 The 4 seater sofa as shown in the image below in Semi-Aniline Tan leather has 3 cushions as standard, whilst other sofas up to and including the 3.5 seater are made with 2 cushions as standard. 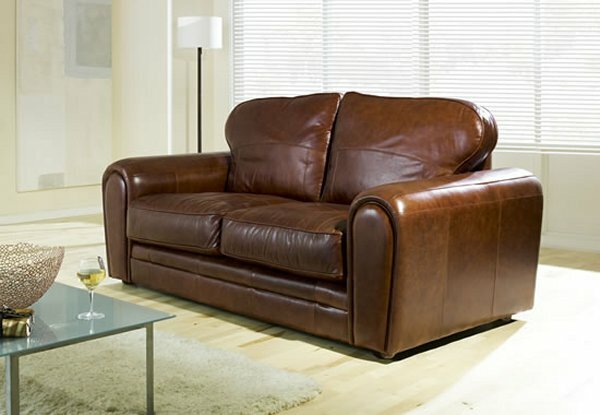 The Bronx leather sofa is available with detachable arms. If you like the Bronx sofa, sofa bed and chair design but would rather have it in fabric click here. The image belows shows the Bronx leather 3 seater sofa bed in Semi-Aniline Tan leather. 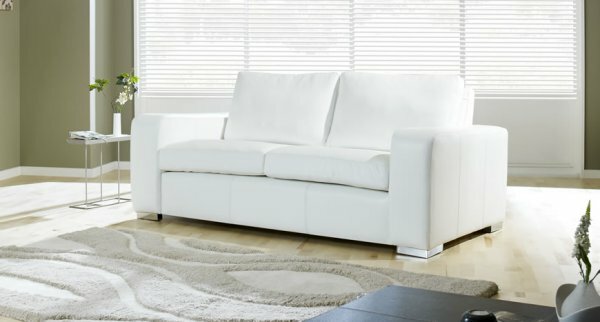 The Chester Premium leather sofa by Forest Sofa is a contemporary leather sofa with a deep, comfortable sit and unique styling offering large flared detachable arms. The 3 seater Chester sofa can be seen below in Pure Aniline Dark Brown leather. The Chester Premium leather sofa available in all sizes from a one and a half love seat sofa right up to a large 4 seater sofa with two sofa bed options and also as an armchair. 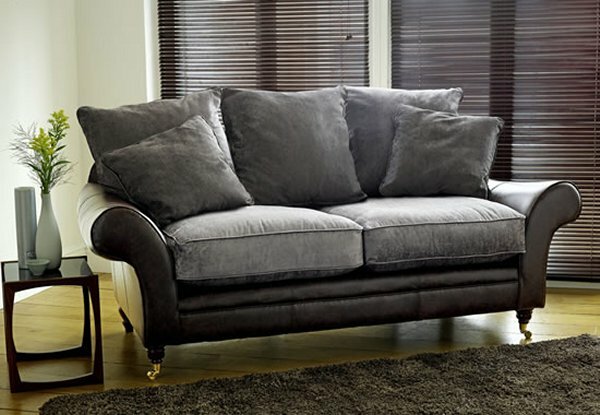 If you like the Chester design but would rather have it as a fabric sofa, sofa bed or chair click here. The Forest Miami sofa is a opulent and grand leather fabric split sofa and loose scatter back cushions. The Miami sofa has turned legs and castors and features a sprung edge frame design with Duratec interiors. The Miami 3 seater fabric sofa is shown below in dark brown leather with Vivaldi 902 fabric. If you like the Miami design but would rather have it as a fabric sofa or chair click here. The Chicago Premium leather sofa has an individually coil-sprung base and superior Duratech fibre interiors making it the ultimate choice for relaxing home living. The 3 seater Chicago sofa can be seen below in Pure Aniline Semi-Aniline Chestnut leather and is available with detachable arms. The Cuba sofa by Forest Sofa is a minimalistic contemporary Premium leather sofa with sleek, clean lines, a single panel front border and low back cushions. The 3 seater Cuba sofa can be seen below in Milano White leather with chrome feet. The chrome feet are available on any of the sofas featured in the Premium Leather Collection. 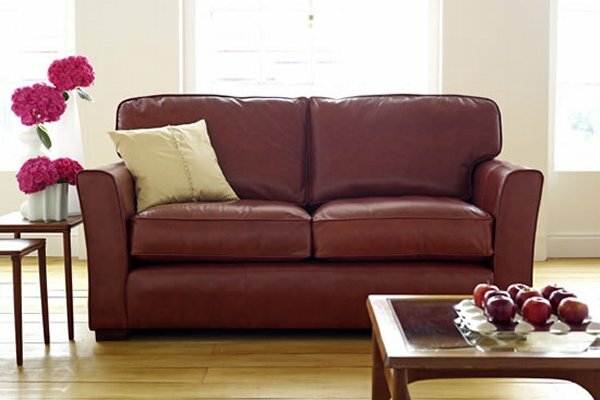 The Cuba leather sofa is available with detachable arms. The image below shows the 3 seater Sofa Collection Latino Premium leather sofa. The Latino sofa in leather has been described as "glamour with a practical application". Award winning Duratech interiors and an individually sprung base ensure that once you experience this sofa you won't appreciate any other. Put simply this is a comfortable sit and a design to be adored! The Forest Latino leather sofa is available with detachable arms. 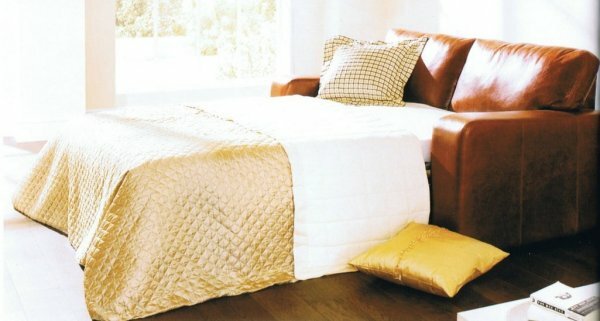 If you like the Latino design but would rather have it as a fabric sofa, sofa bed or chair click here. The Liberty Premium leather sofa by Forest Sofa is a contemporary leather sofa range upholstered on a solid beech frame with a contemporary half rounded arm design. The image below shows the Liberty 3 seater sofa and leather chair in Forest Brown Distressed Aniline leather and solid hardwood feet. The hardwod feet are standard to the range, with rounded bun feet also available. The Liberty leather sofa is available in all sizes from a one and a half love seat sofa right up to a large 4 seater sofa, as a regular or large sofa bed also as an armchair. 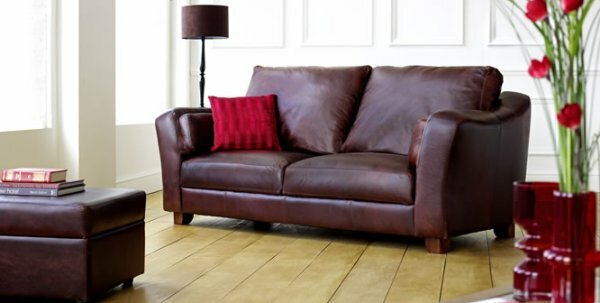 Like many of the other Premium leather sofas the Liberty sofa is available with detachable arms. If you like the Liberty design but would rather have it as a fabric sofa, sofa bed or chair click here. The Manhattan Premium leather sofa by Forest Sofa has fully upholstered high arms and loose cushioning pads is great for both contemporary and traditional homes. The large size of the sofa means that all frames, from the 3 seater size upwards are manufactured in 2 pieces to enable easier access in the home. 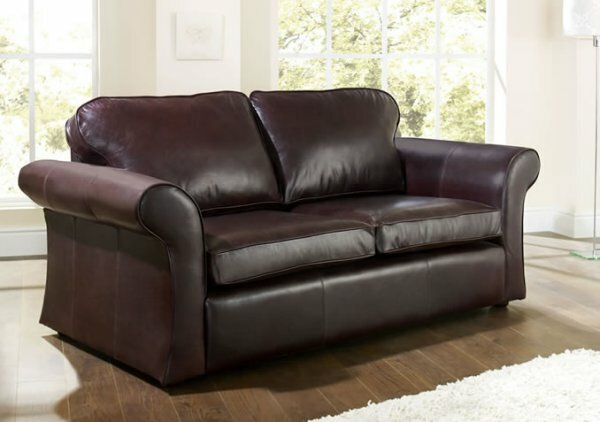 The image below shows the 3 seater Manhattan sofa in Muirfield Dark Brown leather. 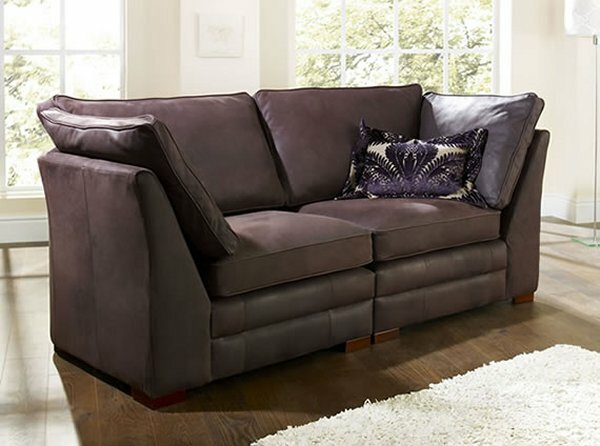 Like many of the other Premium leather sofas the Manhattan sofa is available with detachable arms. The Minuetto Premium leather sofa by Forest Sofa is a sturdy leather suite with surprising comfort featuring individually sprung seat interiors as standard and supportive back cushions and arm rests. The seat and arm cushions are fixed and the back pillows zipped to ensure a crisp pristine appearance. Simply a quality build with superior comfort. The Minuetto 3 seater sofa is shown in Selvaggio Fox leather in the image below. The image below shows the luxury designer 3 seater Sofa Collection Rico Premium Leather Sofa in Brushed Olive Aniline leather. The Rico is a bold contemporary leather sofa design, with a superior coil sprung seating platform and luxurious deep fill seat interiors and is available with detachable arms. Piping detail follows the contours of the arm and piped cushions come as standard. If you like the Rico design but would rather have it as a Rico fabric sofa, sofa bed or chair click here. The image below shows the luxury designer 3 seater Sofa Collection Statton Premium Leather Sofa in Hazel Semi Aniline leather. The Statton has a slender tapered arm with a unique top-stitched detail. The image below shows the luxury designer compact 3 seater Sofa Collection Tiffany Premium Leather Sofa in Tan Semi Aniline leather. 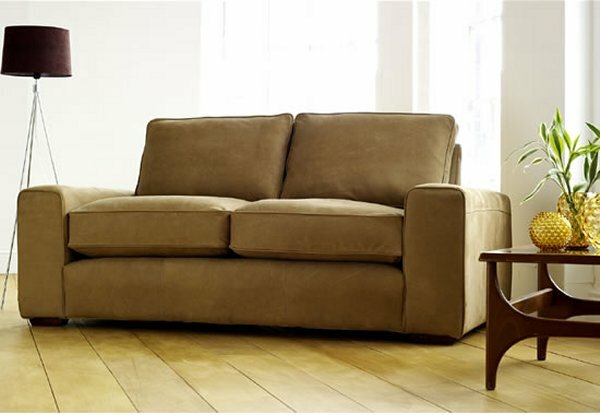 The Tiffany is a compact sofa design with clean lines and superb piping detail throughout. The Tiffany sofa is available with detatchable arms. The Modular Corner Unit offers an endless variety of combinations allowing you to choose the best fit for your living space. Simply select from any of the the eight modular designs, including the Liberty, Tiffany, Rico, Cuba, Carmen, Chester and Bronx. The image below shows the Bronx 3 seater sofa and 1.5 seater modular unit in Forest Brown Distressed Aniline leather. Ottoman, stool or rounded stool ends are available and sofa beds can also be fitted inside the 2.5 seater and 3 seater module units. If you prefer or if space is limited you can maximise your seating by opting for a modular unit without arms. The Nevada Chaise Corner is available with left hand chaise, as shown below, or right hand chaise. The unit is made in 2 sections allowing for easy into installation into homes. Plump fibre topped cushions create a firm but comfortable sit. Space saving arm design maximises seating area and the shallow frame depth ensures the Nevada does not overpower the room. The Nevada chaise corner unit is shown above in Vintage Whisky leather.